This newly renovated and renamed all-inclusive, couples-only resort has designed the perfect mixture of romance, European civility and tropical beachfront paradise. Sandals South Coast is sublime beachfront resort within a 500-acre nature preserve. While you and your happily-ever-after are strolling along a grand piazza, lined with cafes, bistros and bars, it is easy to forget that you are still in the Caribbean. Three peculiar European Villages, French, Dutch and Italian, are situated on a 2-mile stretch of white sand beach where honeymooners can both watch sunsets and sunrises. Couples can choose from one of three pools, including the largest in Jamaica or enjoy one of the newly added over-the-water bungalows. At night, huge bonfire pits and fireplaces add to the romance and glow of this truly unique destination in the midst of paradise. 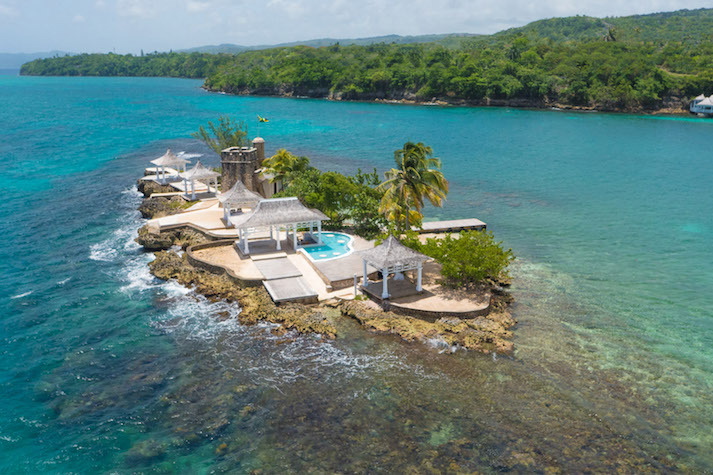 A mixture of breezy island elegance with Jamaica’s flair, romance and sophistication, Couples Tower Isle is a couples-only retreat on the luxuriant coastline of Ocho Rios. A mid-century, couples-only, Caribbean playground for newly weds, this tropical getaway continues to attract honeymooners of all ages. Boasting its own private Island just minutes away from the glistening white sand beach and a beachfront footprint that makes moving from one sun-splashed spot to another a breeze. This all-inclusive resort seduces with Jamaica’s finest farm-to-table dining, award-winning spa services and stunning views of calm turquoise waters that take your breath away from the moment you enter the lobby. 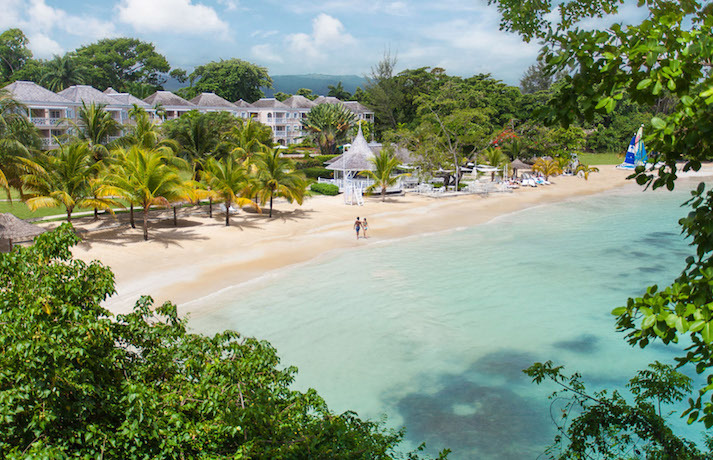 Explore a blissful romantic, honeymoon getaway at Couples San Souci in Ocho Rios Jamaica. This resort has been long considered as the “Jewel of the Caribbean,” sweeping honeymooners into a kaleidoscope of tropical beauty, romance and island surroundings. A hidden gem situated gloriously against verdant mountains, and the Caribbean Sea, this resort on the North coast of Jamaica emits a sense of seclusion and intimacy, its luxuriant vegetation and smaller footprint allows couples to lose themselves wandering its secluded stone pathways. No matter where the winding paths lead you, you are never too far away from breath-taking sea views. 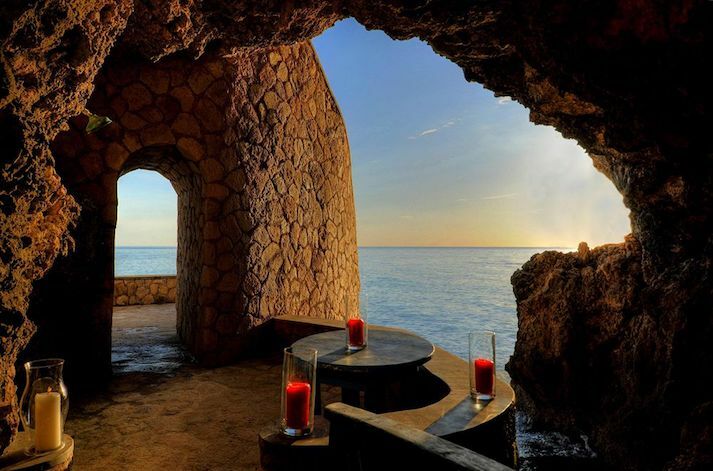 The Caves Negril is the ultimate honeymoon destination: you are almost guaranteed privacy, with just 11 spacious, private cottages; adults-only, all-inclusive food done on your request and last but not least, the gorgeous Cliffside sitting. Other features include a private Jacuzzi for newly weds to enjoy at sunset, and for romantic candlelit dinner for two inside the cave. Not as big as the other resorts on this list but, all-inclusive policies and an intimate, romantic setting makes The Caves a top pick for a laid-back honeymoon. A private location, beautiful gardens, designer villas and top-notch service make Round Hill the perfect destination for luxury-seeking honeymooners. There are 36 beachfront suites and 27 private villas stretched across the 30-acre property. Most of the villas include tubs, and westward facing for unbothered sunset views. 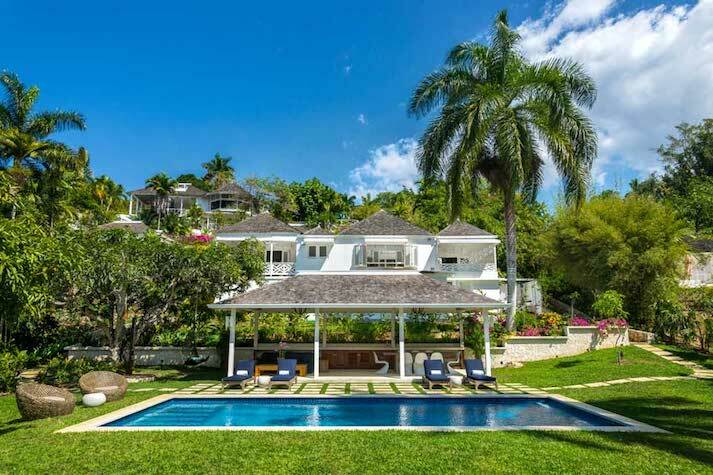 The resort is a favourite among celebrities as a few have visited Round Hill Hotel for both weddings and Honeymoons.